I know you are just as busy as I am and sometimes dinner can be a chore so here’s another dinner winner that can be upcycled in to another fab dish for you and your little families. 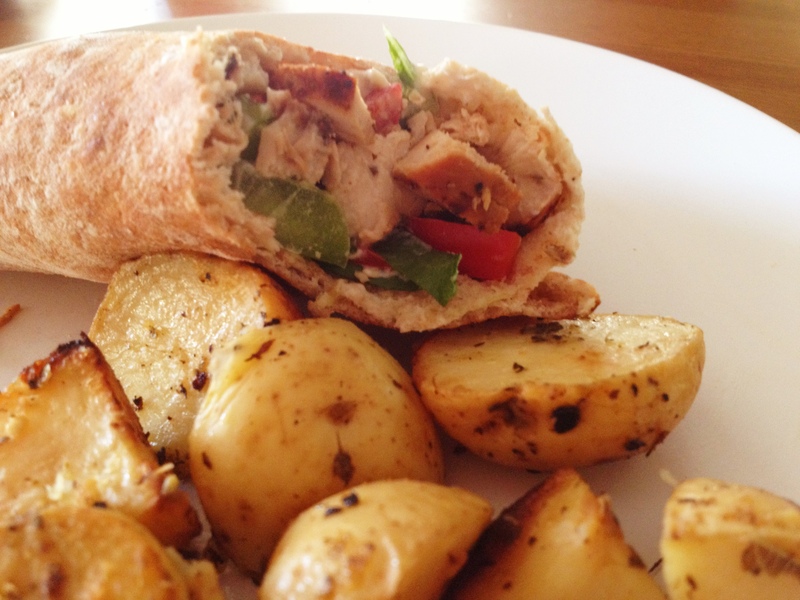 Remember we ventured in to the world of souvlaki chicken the other day?? Well I made a lot on purpose so I would have another easy dinner just about prepared when I got home after a busy day at work. As I write this, I sound super duper organized but i’m really not and I think that’s why I feel like such a smarty pants when I do these things because I am temporarily living in a world that is well put together. So after that souvlaki chicken dinner, I had about 3 small chicken breasts left over so I decided to get some pita’s, chop up some fillings, grab some tzatziki and we got ourselves some killer souvlaki chicken pitas. This dish is going to take you like 6 minutes to pull together! 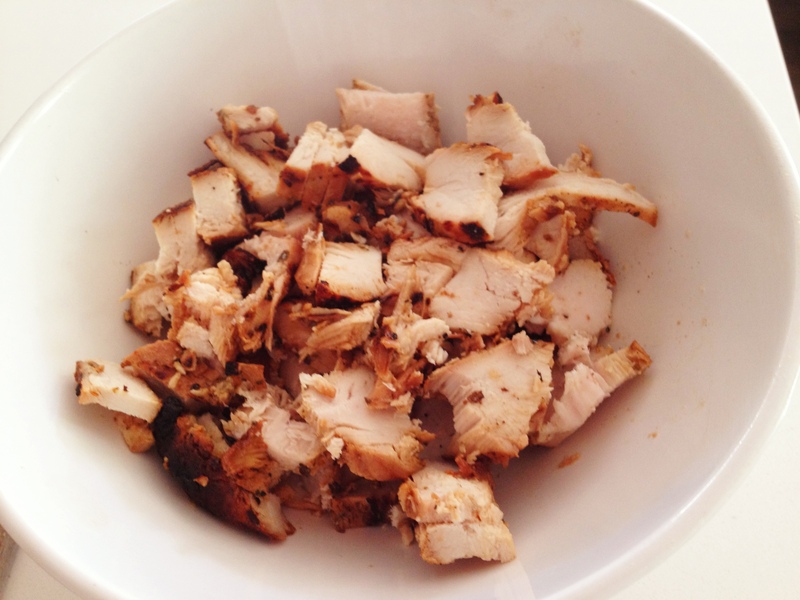 First chop up your left over souvlaki chicken. 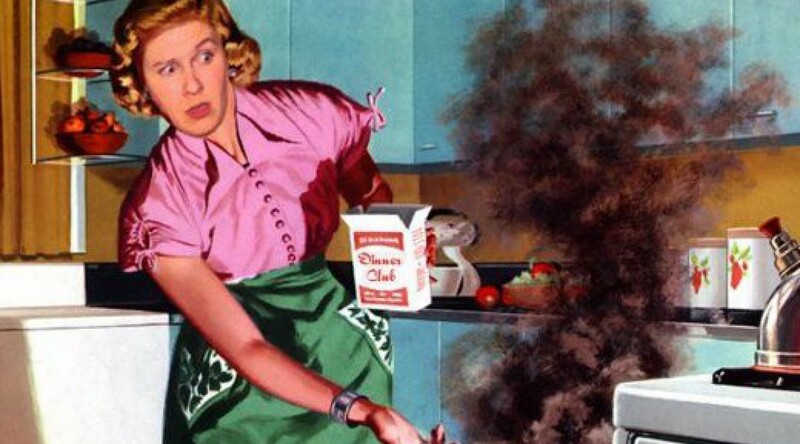 You can warm it up or serve it cold…totally your call! 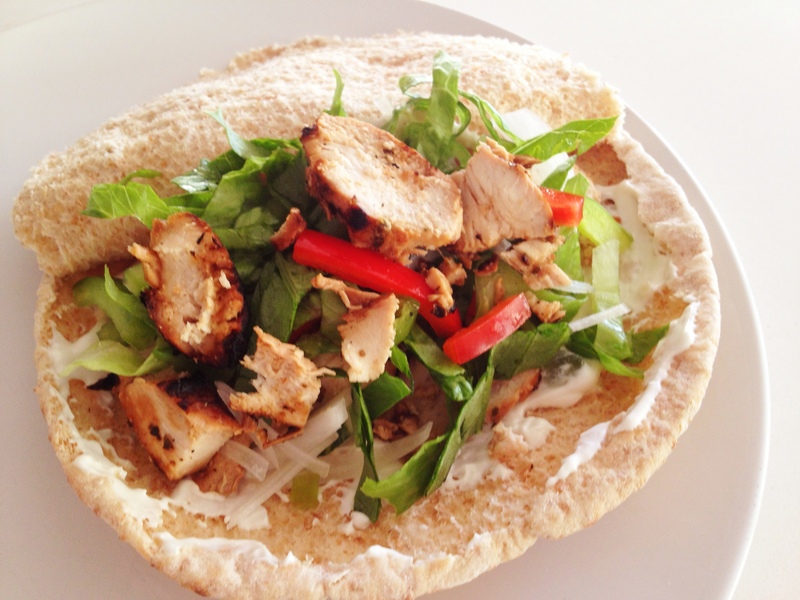 Next chop up your veggies to put inside your pita pocket. 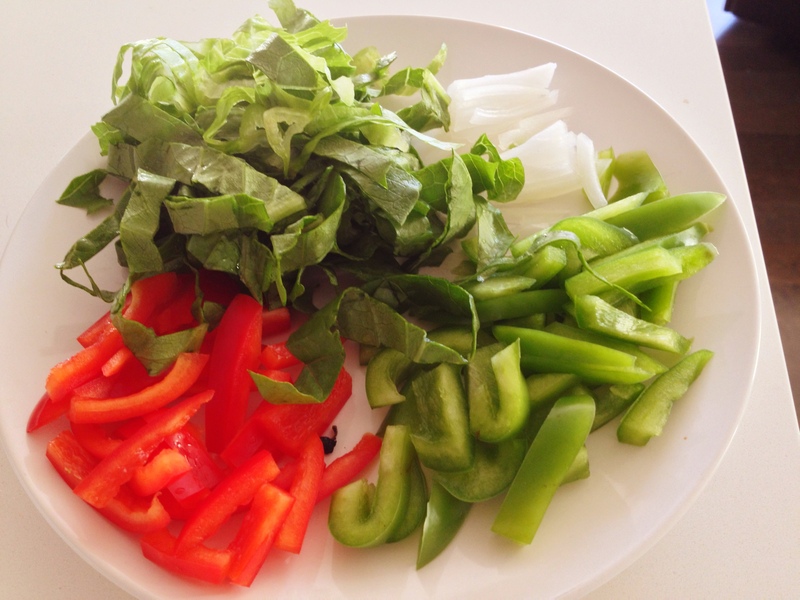 I chopped up lettuce, red peppers, green peppers and some onion. I used up all of my cucumbers the day before so I didn’t have any on hand but normally I would be adding some to this pocket of awesome. 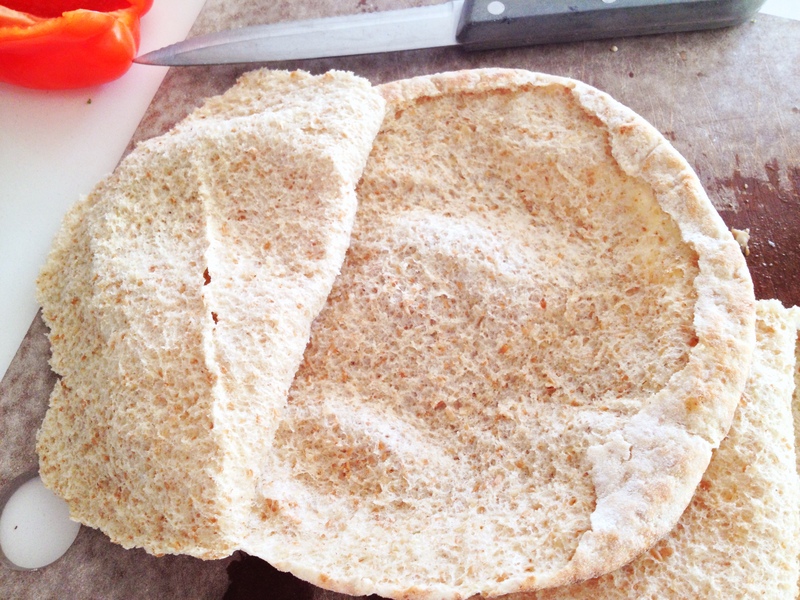 Next open up some pitas (carefully)…I usually mess this part up!! Put on some tzatkiki if you wish. Pita opened up, ready to stuff. Next put all of you stuff you want inside. The best part about this is you can customize to your liking so if you have a tiny human who doesn’t like onion…customize that bad boy just for them. Roll it up and EAT! I also had some left over lemon grilled potatoes so I served them on the side. The best part about this is I had enough to also take for lunch and make another pita pocket with!! I pretty much made 3 meals out of this chicken. RESULT!! I hope you fine people enjoy a stress free dinner! !